Going into the Olympics year, Team Japan has some interesting questions to answer. Do they even qualify for the team event? Nebelhorn, here we come. Who is going to be The Third Man? And the biggest of them all - which two ladies get to go forward to PC 2018? Some slight news about the ladies, Satoko is said to be resuming training on ice in May, so this month, meaning she'll have plenty of time to return to form. 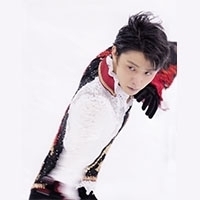 Sota Yamamoto would be a good choice but I don't know if this would all be a bit too much pressure for him to handle (seeing as it would be his first year as a senior) + he has that broken ankle that has just healed. What ladies would you like to take the two spots for Olympics? Wakaba is my favorite Japanese lady and I would feel terrible for Satoko too, even if she's not one of my faves, so I guess ideally, I'd end up with those two as well. It's going to be really, really difficult for Wakaba though. If she is successful with that 3A in her FS though, she is going to up her chances significantly! I think Satoko is almost a lock. For the second place it will be a great batlle. I prefer Mai. I'm in love with her flow on the ice and I like her jumps too. Her LP at WC was the second best I think. Same here. I am not "against" any lady though. I am simply rooting for those two the most. So basically we have Satoko, Wakaba, Mai and Marin running for two spots and I would also count Kaori as she could be a rising star like Mai in last season. Not sure whether Yuna S is going to compete in senior or not. I personally would like to see Wakaba and Mai going but it all depends on how they perform through first half of next season. Under current circumstance even winning the national cannot guarantee a spot. The team event at Olympics doesn't work like the WTT - in WTT, singles result weight much, much more than pairs and ice dance, while it's more even in Olys. I have a very small preference for Satoko and Wakaba (gimme all the 3As !! ), but... the truth is I would really want the four of them. As for the third man... that would be cool if it was Mura. Sota is a big question mark, though. I really want Satoko and Mai to go. Wakaba is great and I like her but Mai won me over in Worlds and I am rooting for her, and Marin is still untested as a senior so I don't know how she will do next season (my not very objective opinion). Not sure about the men. Japan already has two very strong contenders for gold in PC in Yuzu and Shoma so I am not sure what their priorities will be when choosing the third skater. Also WTT seems a bit unfair then. Did Japan come up with that idea on purpose? I am solidly behind Mai as well. She won me over, big time. With more intricate programs, and her consistency in her LP, she could do really well. I loved how in the WTT exhibition, she went for the 333 at Yuzu's urging. He totally made her do it, literally pushing her out there, lol, and then both laughing so much when she fell. I love The Third Man question... teehee.